As someone who has a dry under eye area, a hydrating primer is essential. As my Cover FX one was running low, I decided to give a different brand a try. Elf’s Hydrating Under Eye Primer caught my eye, as it’s only a bargain £4.50, compared to around £25 for Cover FX’s one. The product comes in a small, black tube with a pump dispenser. 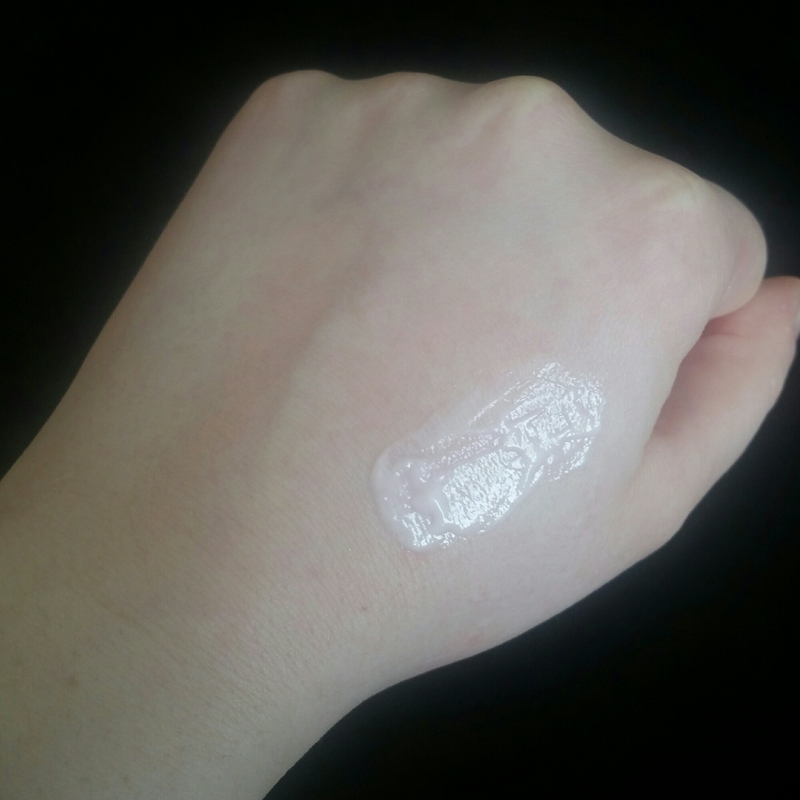 The primer itself is a pearly pink colour, that is completely sheer once applied. Below is a swatch of Elf’s primer. Massaging the primer underneath my eyes, it felt hydrating and applied smoothly. There was no stickiness and my concealer applied well on top, with no dryness or flaking. 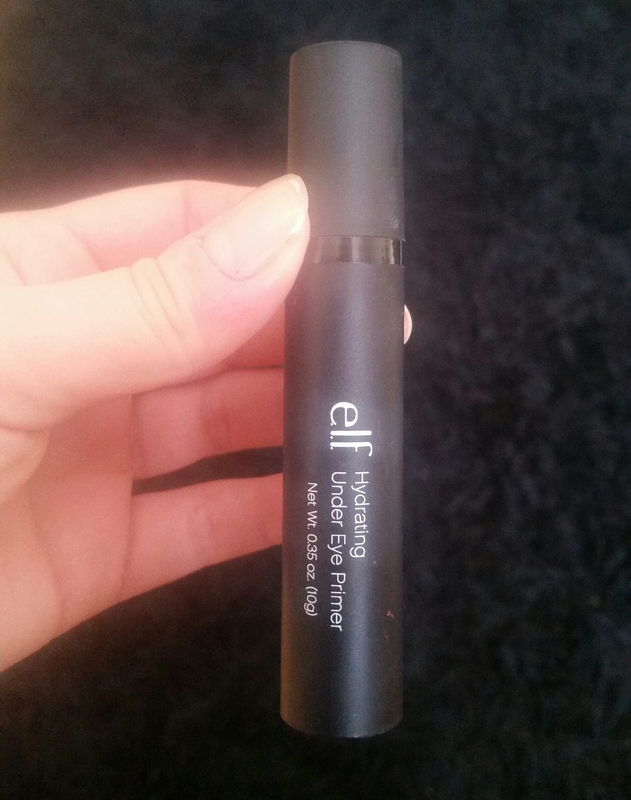 It held my under eye makeup on well, but I don’t love Elf’s primer quite as much as I do Cover FX’s one. I find that Cover FX’s product is more hydrating, which is great for even very dry patches, whereas Elf’s is more suited for a slight dryness. The finish is also different. Cover FX’s has a more dewy finish, meaning my under eye area looks brighter and more radiant, whereas Elf’s has a more powdery matte finish, which means my makeup looks a bit flatter. As the day wore on, my under eye area looked more tired and dull when using Elf’s primer than Cover FX’s. Overall for £4.50, Elf does a pretty good job and is a lot more impressive than I was expecting. However it’s not as hydrating and gives a flatter finish, meaning Cover FX is still the winner for me. Let me know what under eye primers you love. I’ve not tried a primer made specifically for the under eye area but I have used eye primers there. Right now I’m using the GOSH one and it’s really nice – it’s silicone-y and smooths out the area making it look less dry.